Fox USMC Knives - Terzuola Titanium Framelock Bl Model: FOX525TIBL. 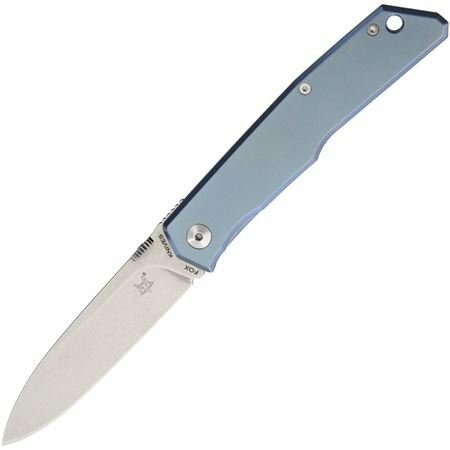 Closed: 4.375"; Blade: 3.5" | N690Co Stainless | Standard Edge | Stonewash Finish; Handle: Blue | Titanium; Other Info: Lanyard Hole | Pocket Clip. Thumb disk. Black nylon zippered pouch. Boxed. If you have any questions about this product by Fox USMC Knives, contact us by completing and submitting the form below. If you are looking for a specif part number, please include it with your message.